About a year ago I came across radiata pine plywood at home depot. At first I was intrigued just because of the price: cabinet grade plywood for right around $30-35. Of course it isn't the highest quality, but I really like the grain and pattern. Plus, unlike a hardwood plywood with a face veneer that is literally paper thin, the face veneer is just as thick as the inner-core vaneers, which means you'll be less likely to sand through the veneer on a corner. This bed is built completely out of 3/4" radiata plywood and uses pocket hole screws for many of it's connections. Of course if you are opposed to pocket holes, a doweling jig would work well for this project, or floating tenons. The saying "necessity is the mother of invention" couldn't have been more true on this project. When I moved to Maker Ranch in Joshua Tree, CA this spring, we moved into a house with no furniture. I started by building a dining table that everyone would have a spot to eat and gather. Then next project on my list was a desk to work at, and third.... a bed to sleep. I was sketching ideas for a bed and with matching nightstands and knew I wanted to use exclusively plywood. 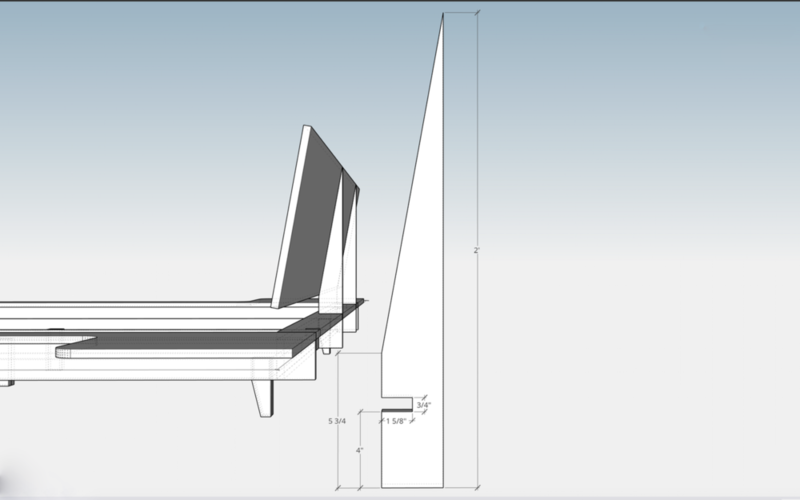 During the design research phase, The Floyd Bed really appealed to me. That night I dreamt a platform bed that reminded me very much of that Floyd Bed, but it had integrated nightstands. 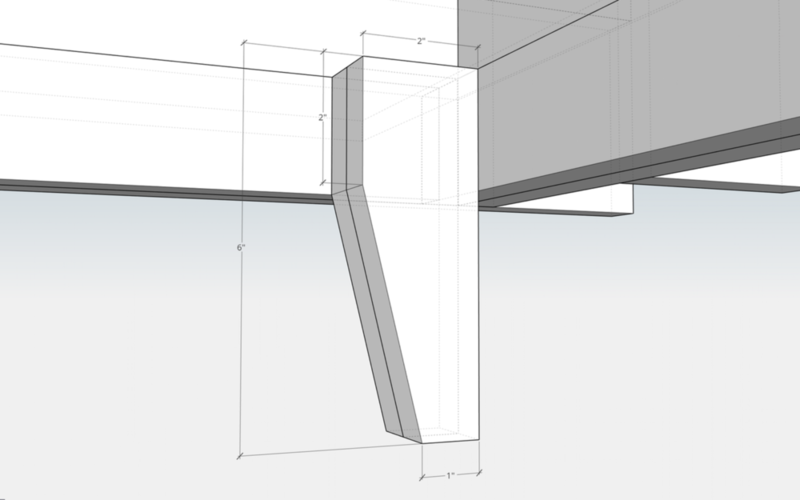 The next day I made the rough Sketchup Model and started working out all of the design challenges. The funny part of the story is that I can't even use the bed. When we moved in to the new house, I didn't realize my mattress was a full size rather than queen. I didn't measure the mattress, I just googled "standard queen size mattress dimensions" and started building. It wasn't until I was getting ready to stage the bed for photos I realized my mistake. All ended well, though; I gave the bed to a neighbor and have since built a new Full Size Bed that I like very much. I'm really pleased with the visual and functional payoff this project has compared to the amount of tools used and complexity of the build. This project could easily be built with a circular saw, jig saw, and a drill / impact driver. Of course a pocket hole jig is a tool of sorts, but I've definitely gotten my $100 worth out of it.